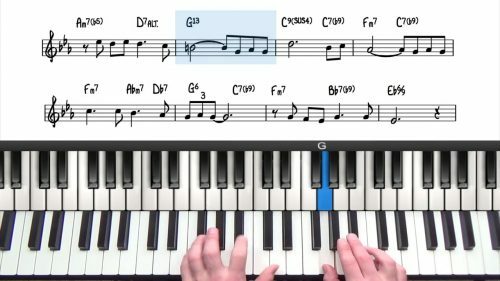 In jazz we use introductions to set the mood and to lead smoothly into the first chord of the tune. Intros can be useful to extend the length of your performance and also to establish the tonality or the key in which the tune is being played. In this lesson we explore the 1625 progression and it’s variations. The reason the 1625 works so well as an introduction is because you are playing chords that are diatonic to the key. And so it sets up the tonality of the tune before you even play the first chord of the form. The 1625 progression is great for introductions, endings and also transitions between tunes. You can group tunes together that are in the same key. 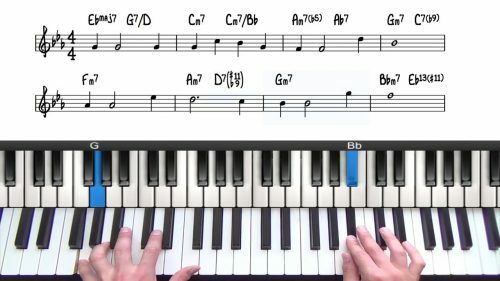 We start this lesson by applying the 25, 1625 and 1436251 progressions in Eb to the tune Tenderly… we start with simple ideas and gradually increase the complexity. 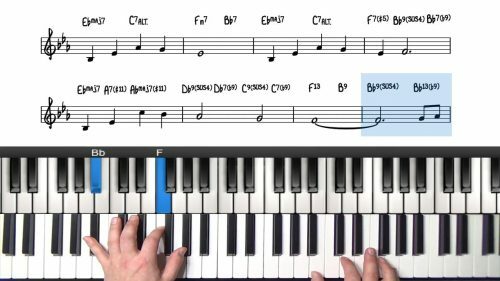 We finish the tutorial by transposing the same introduction into the key of Bb Major and using it as an intro for the tune My Foolish Heart. Check out the jazz standard lesson on this tune. The shorter 1625 variation is more common and is also present in most turnarounds. Flick through your fakebooks and try to spot these progressions – you will find lots. Much of the tune is made up of the 1625 progression. We will explore how we can use this progression to create an improvised introduction. ‘I Fall in Love To Easily’ has a very short form at just 16 measures. It’s a great tune for applying altered and suspended harmony. How can you become familiar with the 1625 progression and it's variations? When you want to change the tune you are playing, instead of stopping at the end, when you hit the 1 chord, treat this as the 1 in the 1625 and use the 1625 progression to take you into the next tune, or as many 1625s as you like. You can circle around on it for as long as you like as the 5 takes you back to the 1. Use the 1625 progression to connect these tunes together and create a flowing set of jazz ballads.